Choose the plan thats right for you. 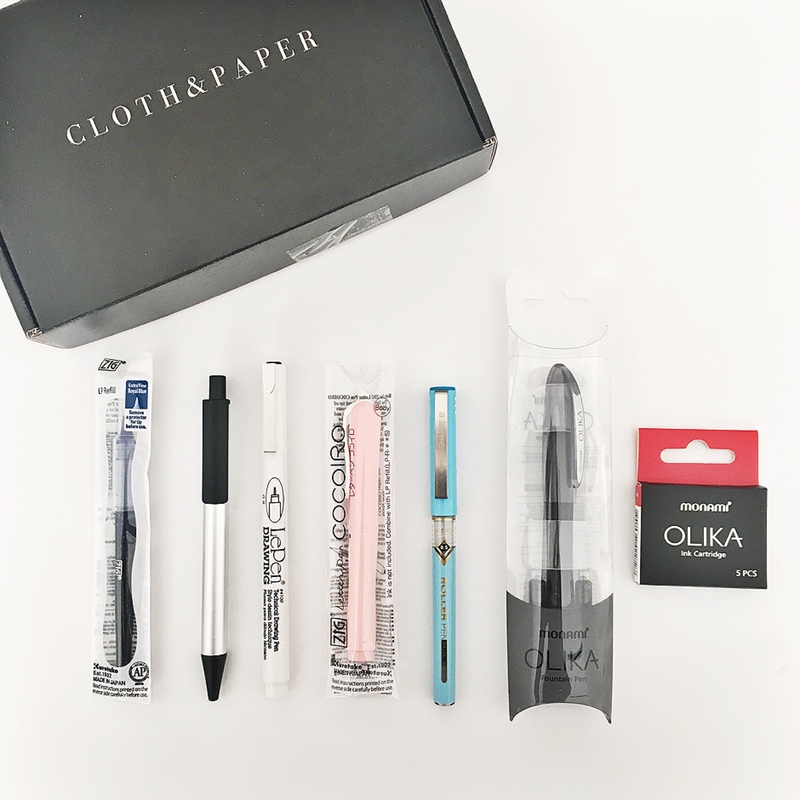 Our Penspiration Box consists of a variety of 4-6 types of pens and pencils shipped to your door each month. Pens & pencils vary from gel, rollerball, ballpoint, brush pens, mechanical, wood, and more. We love to include hard to find and overseas pens that aren't readily available in the U.S. We have featured brands like: specially designed Cloth & Paper pens, Caran D’Ache, Pilot, Marvy, Pentel, Limited Edition Releases, TomBow, Cocoiro, and the list goes on. 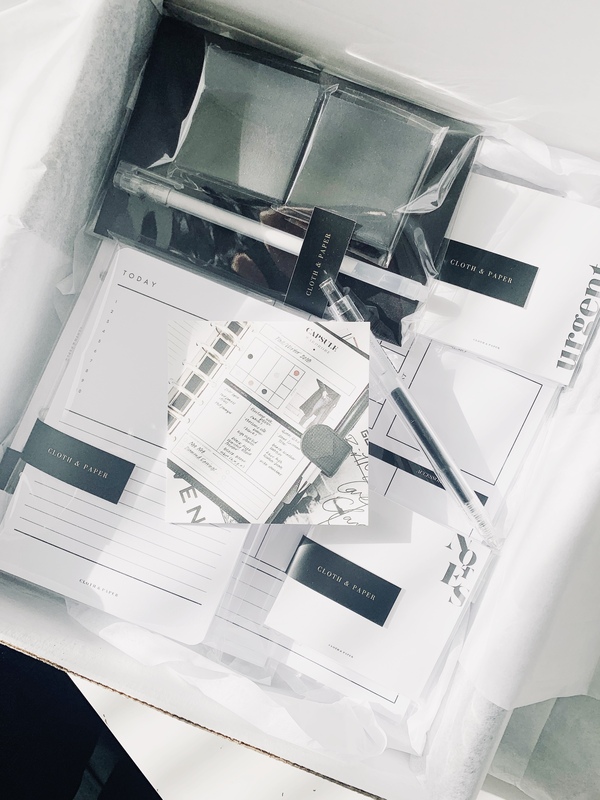 Our typical Stationery Box comes with 6-8 items monthly with a variation of planner/stationery items and lifestyle goods. Examples of Items you may receive in your box include: • Pens • Notebooks • Sticky notes • Notepads • Stickers •Notebook/Journals • Journal Cards • Postcards • Notecards & Envelopes • LifeStyle items (things to brighten up your life). Typically, we include exclusive Cloth & Paper goods that match today's planning trends, however we’ve featured brands like: CLEANSE by Lauren Napier, MUSE BEAUTY, Smitten On Paper, Rifle Paper Co, Studio Sarah London, Katie Leamon, and Tools to LiveBy. 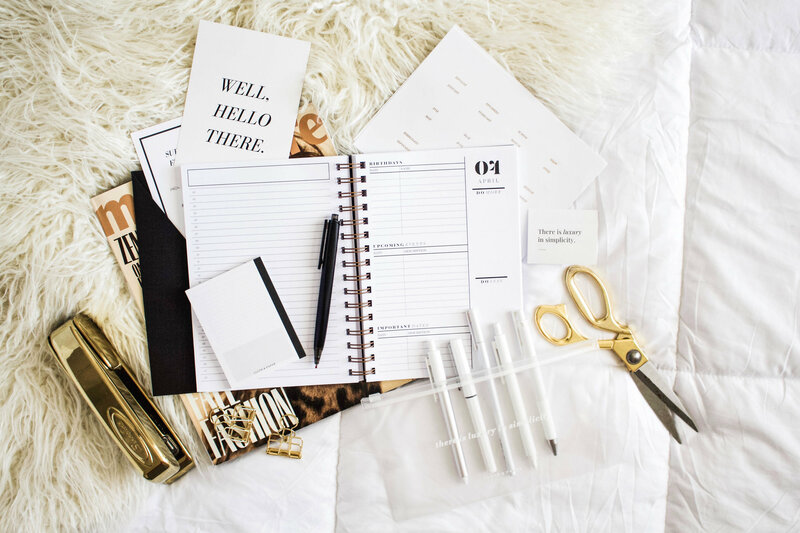 This option features both our Planner Stationery and Penspiration subscription boxes for those that love CLOTH & PAPER and want to save big!